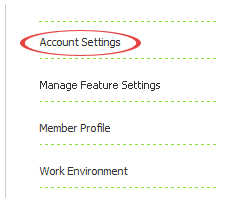 Cancelling your account will cancel your profile immediately if you're on a Free Trial or grandfathered free account. If you're on a paid plan, your service will expire at the end of the current billing term. All of your data will still be available if you decide to reactivate your account in the future. 4. On the next page, please select your reason for cancelling from the drop menu and fill out any bits of feedback you may have. 5. Once completed, click the Submit button. 6. A confirmation page will open. Read the page carefully before proceeding and click the Yes, I am sure button. There is no "Cancel Your Account" link. Our site is 'resting' right now. Check back in a few minutes, we should be back up shortly."